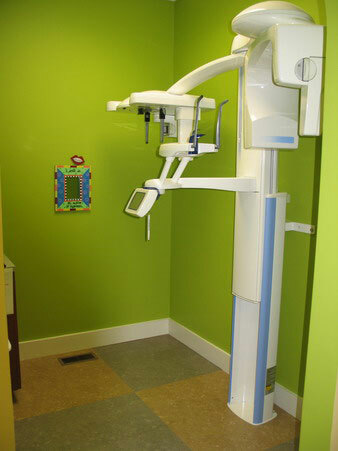 We use a variety of state of the art technology including a Digital Xray System, Diagnodent (a revolutionary way to detect and find cavities), an Automatic Vital Sign Monitoring System, and a Water Lase MD (an alternative method to the dental drill). With this latest technology, a laser light detects cavities that are not yet visible to the naked eye. This technology enables dentists to practice minimally invasive dentistry by providing a better possibility of diagnosing this disease at an early stage. WaterLase® MD™ is an alternative method to the traditional dental drill. Traditional dental drills work with friction and vibration, which causes heat and can cause pain for the patient. WaterLase® MD™ employs a unique combination of laser wavelengths and water to achieve the same results as traditional drills, but without the heat and pressure that can trigger pain. Our office uses an automatic vital signs monitoring system that ensures patient safety while using sedation dentistry. Using this advanced technology allows our staff to accurately monitor our patients’ vital signs while focusing on the wellbeing of the patient. For your information and your child’s safety, DPD regularly tests the water at EVERY exam table to assure uncontaminated water for your child. Our office offers gaming consoles for our patients to play while visiting our office.